We all learned about DNA in school, right? But did anyone ever tell you what DNA stands for? And more to the point, do you remember? The fascinating science behind DNA explains our genetic make-up, and holds the key to our continued survival. So what do those three letters stand for? DNA is an abbreviation for the very thing that makes up strands of DNA: deoxyribonucleic acid. This acid is one of two main nucleic acid, the other being ribonucleic acid (RNA). DNA and RNA – as well as proteins, lipids and complex carbohydrates (polysaccharides) – are known as macromolecules and are collectively essential for all known forms of life. 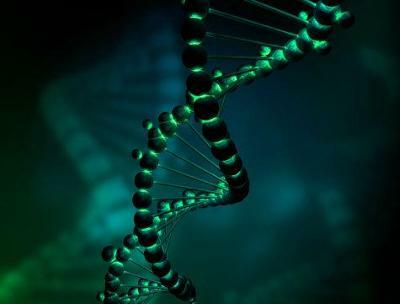 The sequence that runs along this double helix makes up our genetic information. In 1869, Swiss physician Friedrich Miescher was the first to examine what came to be known as DNA. Miescher discovered a microscopic substance in the pus of discarded surgical bandages and named it nuclein, as it resided in the nuclei of cells. Things soon snowballed, and DNA’s role in heredity was confirmed in 1952. Then in 1953, Francis Crick and James Watson came across the DNA double-helix model, before claiming they’d ‘discovered the secret to life’. These discoveries laid the foundations of modern DNA studies, and led science on to The Human Genome Project that ran from 1990 to 2003, the world’s largest collaborative biological project. The scientists working on it discovered and confirmed the sequence of nucleotide base pairs that make up human DNA. They also discovered and related back how each element of the human genome manifests, from a physical and a functional standpoint. As of 2018, the sequence of the human genome has been (almost) completely determined by DNA sequencing, and there are an estimated 19,000-20,000 human protein-coding genes. In June 2016, DNA scientists announced HGP-Write, a plan to synthesise the human genome (as in, create genes) by studying the genomes of microbes, plants and animals. If successful this will have huge benefits for science and medicine.